One stop shop for your Quality Management needs. Improve visibility, operational efficiency and product quality by automating CAPA, change control, complaints, audits, supply chain, etc. into one single system. Web-based services integration with ERP, PLM, CRP, LIMS, MES platforms. 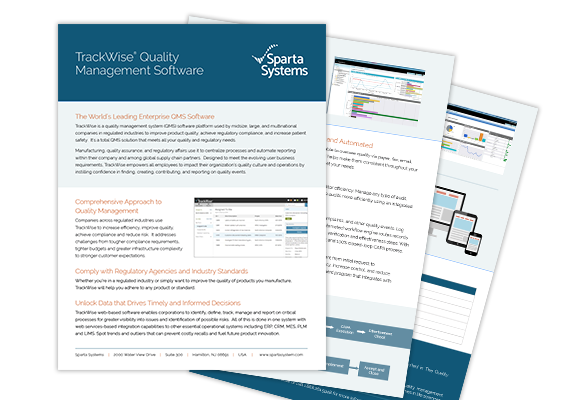 TrackWise allows companies to invest time and resources into better product quality and regulatory compliance. © Sparta Systems, Inc. All rights reserved.